Special LIVE edition, bringing you two incredible artists, leaders of the global techno scene. Max Cooper’s psychedelic approach to sound design and emotions in music is truly unparalleled. His Subtract debut was a 5 hour open to close DJ set left us all in awe. This time we get to experience him LIVE. As luck would have it, another dear friend was able to join the party. 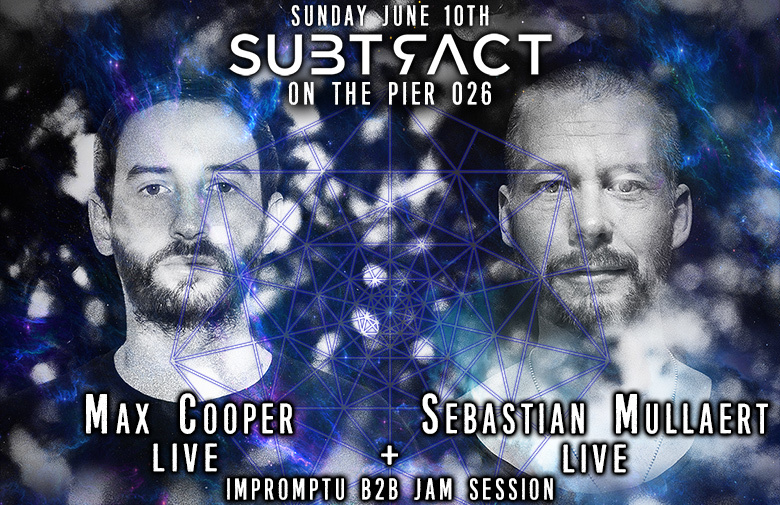 Hailing from Sweden, and returning for his 3rd Subtract appearance, Sebastian Mullaert will also be performing LIVE, with his unique style of hypnotic techno. The guys will also perform a LIVE back to back jam session, something that has never been done before! Get your tickets and get ready for a next level musical experience.